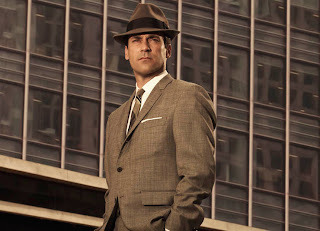 TV fans are abuzz with the impending arrival of Mad Men Season 3, which starts airing on AMC Aug 16th. Mad Men is a critically acclaimed TV drama about the the advertising world of 1960s USA. If you're like me and you're mad for Mad Men, but you don't get AMC, you can tide yourself over until next summer's likely release of a season 3 box set, by borrowing Mad Men Season 1 or Season 2 from the library. Adland: A Global History of Advertising by Mark Tungate - find out the history behind advertising from Madison Avenue and beyond. Then We Set His Hair On Fire: Insights and Accidents From a Hall of Fame Career in Advertising by Phil Dusenberry - more memoirs from advertising insiders. The King of Madison Avenue: David Olgilvy and the Making of Modern Advertising by Kenneth Roman - bio of a real life "mad man"